An image of a mysterious smartwatch has popped up on Pebble's website, and it looks, well, interesting. 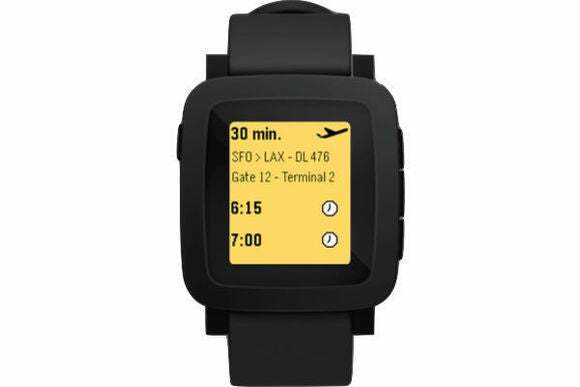 The image, as spotted by 9to5Google, seems to match up with rumors of a new Pebble watch that may be launching soon. It shows a color display, a wider design, and a third button on the right side, possibly for activating voice commands. All of these features have been described previously by 9to5Mac's unnamed sources. Incidentally, Pebble's website is currently showing a countdown clock that will expire on at 10 a.m. on Tuesday. Perhaps we shouldn't judge this image too harshly, as it doesn't convey thickness, texture or build materials. But the combination of rounded frame, sharply-angled lugs and extra thick double bezels doesn't inspire confidence. In any case, Pebble has managed to keep some secrets ahead of tomorrow's news. While it's expected that Pebble will overhauling its software with a bigger emphasis on notifications, the specifics of how it'll work are still unknown. We'll find out soon enough. Why this matters: It doesn't matter how useful a smartwatch is if you don't like how it looks on your wrist, so it's a bit troublesome to see this render pop up ahead of an official announcement. Still, Pebble has done a fine job with design before, with the Pebble Steel being one of the classier-looking smartwatches on the market. Hopefully this image doesn't properly convey what's next.